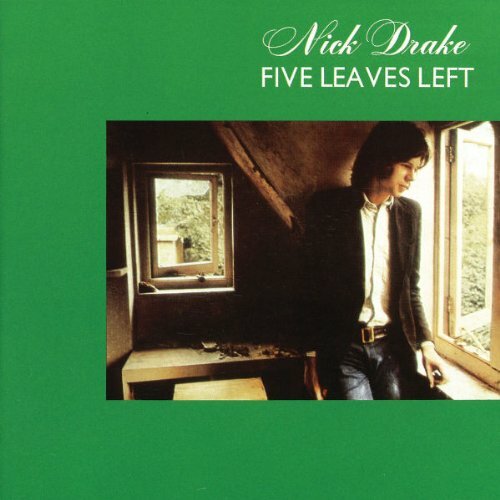 I’m sure I’m not the only one who originally came to discover Nick Drake in a desperate attempt to impress some young lady. After all, despite (because of?) his death aged just 26 from an overdose of antidepressants, he’s grown a cult following over the years, his folk charms elevated nearly into mythical status by art students and the like (and no, I didn’t get anywhere). I mention all this because the first time I started listening to “Pink Moon” was back in the days when Floyd and Oasis were taking up most of my aural attention, and it sort of drifted past me. It’s only in more recent years when I’ve listened to it again and dabbled with this album and “Bryter Later” that the charm seems to be working. “Five Leaves Left” is probably the most welcoming of Drake’s works. His voice is iconic but understated, weary but youthful, and he puts it to work over some gorgeous arrangements. The first two tracks, “Time has Told Me” and the epic “River Man”, make a real grab for attention, but for me the album really comes alive with Fairport Convention’s Richard Thompson and Pentangle’s Danny Thompson (twins?) putting their weight behind the melodies. As an album, after a while it melts into a cohesive whole, letting you explore eastern melodies with “Cello Song”, as well as the lovely “The Thoughts of Mary Jane” (which for some reason made me think of Belle and Sebastian). It’s a thoughtful and gentle piece that doesn’t really have the same sense of experimentation as his later stuff, but it’s the kind of album you can sit somewhere quiet with the sun breezing slowly past you, and know that everything is going to be alright.